By far our most popular product year round! Perfect for parties, picnics, or just a snack. 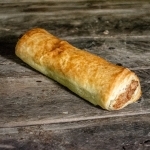 Made with pasture reared pork, UK seasonings and flaky puff pastry, you'll be addicted with just one bite! Here it is: our most popular product and a huge favorite any time of year. Made with finest cuts of pasture-reared pork and British seasoning, our 6 inch sausage roll is freshly baked in a light and tasty puff pastry. Perfect for picnics, parties or an indulgent snack – kids and grown-ups alike can't get enough of our sausage rolls! I love these things! The seasoning is perfect and the roll is so flaky! Brought some to work with me and gave a slice to a colleague. He's going to be going in with me on my next order. Great taste. Makes a nice lunch snack, cut in half for two people. great flaky pastry ,just like home. sausage rolls with a real sausage inside. great to have you guys here making these items. love the flaky pastry. First of all, and most importantly, I bought the Sausage Rolls, The Steak and Ale Pies and the Chicken Tikka Pies. All were absolutely delicious. A real treat and a real taste of home. I will be ordering more. The Web-site is well designed and is very easy to navigate and use and the shipment quick. I live on the West Coast and the Pies arrived still frozen. All around a good experience and one I will repeat. Delicious!Sausage was tasty,and the pastry nice and light. Perfect gift for mom who lived in England 65 years ago. The sausage rolls are absolutely excellent exactly as I remember them from home (England) and happy memories came flooding back with each savory bite. Thank you so much I will indeed be back with another order soon. We ordered sausage rolls for my son's class and they were loved by all. Great service - they arrived beautifully packaged. They were absolutely delicious! Best "Proper English Sausage and Sausage Rolls Ever"! My husband is from England and misses his "proper" English foods. We have tried numerous items from the English Pork Pie Co. and it all tastes like we are in England having a great English meal. We are particularly fond of the sausages, sausage rolls, and the battered sausage (I guess you can tell we are sausage fans!). Thank you so much for bringing a little bit of England to us here in NC! Great sausages better than any American ones! This sausage roll has to be one of the best things that has ever crossed my taste buds. The cooking directions were easy to follow and they came out fluffy and heated through. I let em cool off and ate them at room temperature. Exceptional/outstanding. Thanks for the treat of a lifetime. Best sausage roll ever made. Full of meat & tasty. Don’t miss them. I found this website through Google, and wanted to order something special for my Mum for Valentine's Day! She was very impressed with the food and said it all tasted "like home"! They are excellent. Tastes just the same as when I had them years ago in England. I can't wait to taste the fish and chips that arrived the other day. The sausage meat in the sausage rolls and seasoning is great. It was all delicious. It was a surprise for my English husband. Oh how he loved it and the company was great to work with on shipping details. Very prompt with communications. Will order again. These sausage rolls are really big, and have a great taste! My husband is from England and thought these were very good. Tasty and a good portion. Brings back memories of a good British sausage roll. The best sausage rolls in the US. 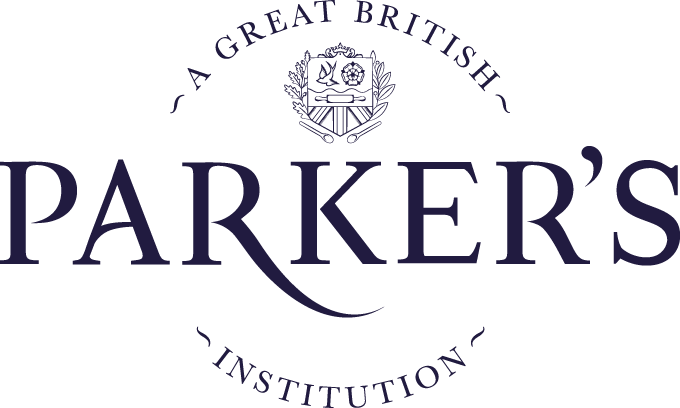 I ordered these to see if they would satisfy by need for a good sausage roll, like I used to get when living in England. They certainly did just that. I will be ordering more of these and encourage anyone thinking about these, to order them. You will not be disappointed in your purchase. We were very excited to get our first order and we could not have been more pleased ! Extremely authentic and completely delicious. We will be ordering again very soon. Just had sausage rolls last night they were delicious. Authentic English sausage roll. Flakey pastry with good sausage center. EVERYTHING I ORDERED WAS DELICIOUS. The sausage rolls were great but the Cornish pasties were best of all with the pork pies a very very close second. We'll be back for sure. I thought they were very tasty, just like in the UK. We ordered a gift pack with some sausage rolls added in. They were wonderful and reminded everyone of home. Great product. Have purchased three orders from you. The first thing I have found since moving from England that tastes like home! !